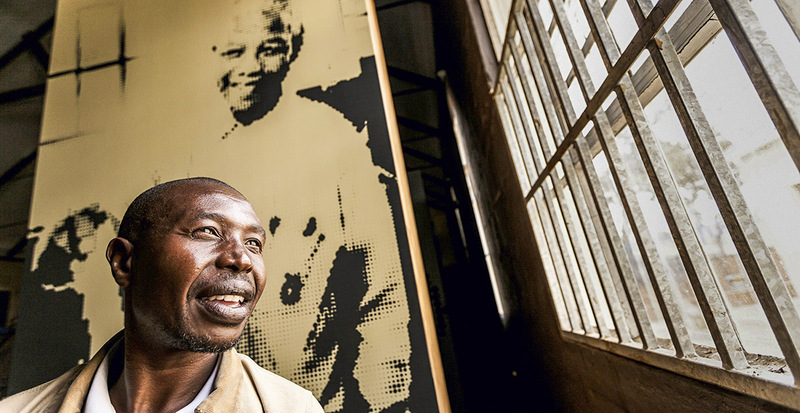 Throughout 2018, South Africa honored the 100th anniversary of Nelson Mandela’s birth — centered on the theme of “Be the Legacy” — to reflect on the leader’s life and times. As the celebrations have drawn to a close, Mandela’s legacy lives on in iconic sites that mark his personal journey to freedom and the road to end apartheid. 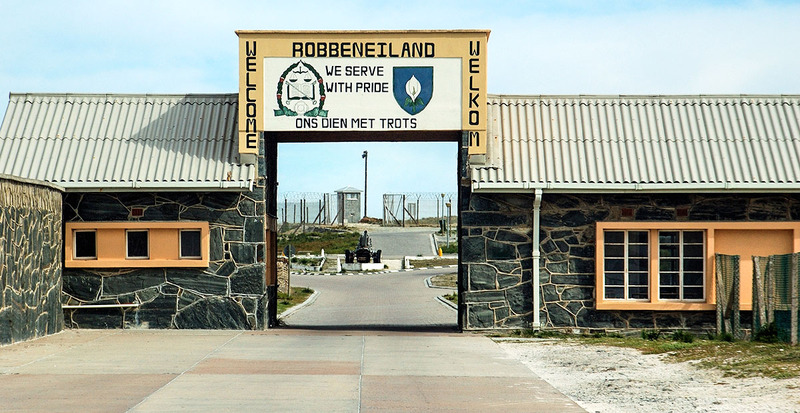 Despite the isolation and barren landscape, Robben Island is a symbol of triumph and a testament to the resilience of Nelson Mandela and other anti-apartheid political prisoners. A tour around the prison includes a stop at the lime quarry where Mandela and others were forced into intensive labor and a visit to Mandela’s 7-by 9-foot cell. Now a UNESCO World Heritage site, Robben Island is a reminder of the triumph over human oppression. Four bronze statues stand tall at Nobel Square, a landmark situated near the edge of the shopping district and harbor of the V&A Waterfront. Intentionally positioned to have their backs to Robben Island, the four South African Nobel Peace Prize recipients Nelson Mandela, F.W. de Klerk, Archbishop Emeritus Desmond Tutu and Albert Luthuli were sculpted to be larger-than-life statues that honor the anti-apartheid movement. Created by Cape Town artist Claudette Schreuders, the figures honor details of each man’s defining characteristics — Mandela’s statue has a detailed design carved on his shirt resembling the distinctive Madiba shirts he liked to wear. 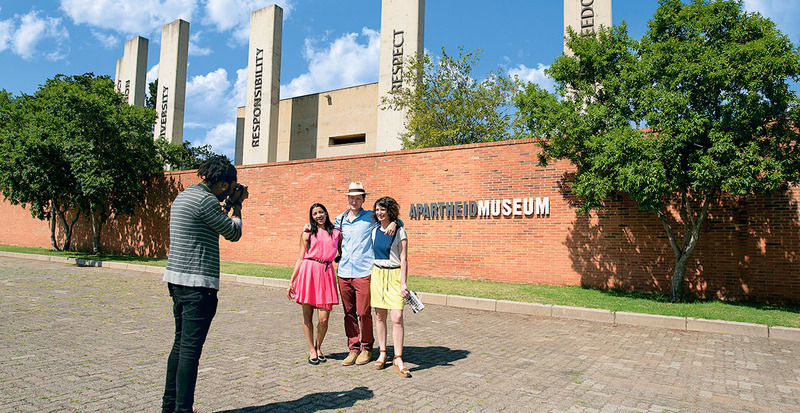 The rise and fall of apartheid in South Africa is displayed through a variety of media at the exceptionally designed Apartheid Museum. Solemn exhibits display the struggle and oppression endured during apartheid, but triumphant stories of courage, perseverance and selflessness emerge from the chilling accounts of segregation. The emotional journey through the corridors of the museum begins at the entrance — you’ll be ushered through either a “White” or a “Non-white” door, determining your point of view throughout the rest of the museum. Exhibits titled “Mandela’s Release” and “The Miracle and Beyond” document Mandela’s release from prison, the road to his presidency and his policies of reconciliation in South Africa. 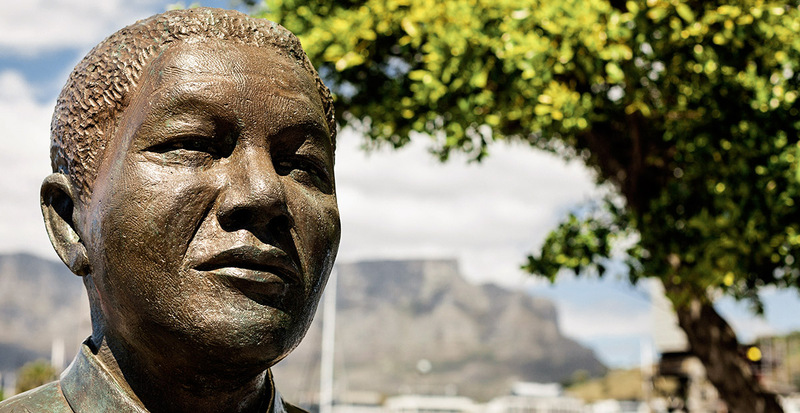 We'll take you on a journey to the sights that marked Mandela’s road to freedom. You’ll be introduced to the empowering people that represent local grassroot development programs in South Africa and you’ll have the opportunity to explore the beauty of the Cape of Good Hope Nature Reserve. The expedition escorts you to Robben Island and District Six Museum in Cape Town, as well as to Freedom Square and the Apartheid Museum in Johannesburg, before you embark on a safari adventure in Kruger National Park. Along the way, dine on local cuisine and stay in high-end properties such as Kapama River Lodge and The Portswood Hotel. 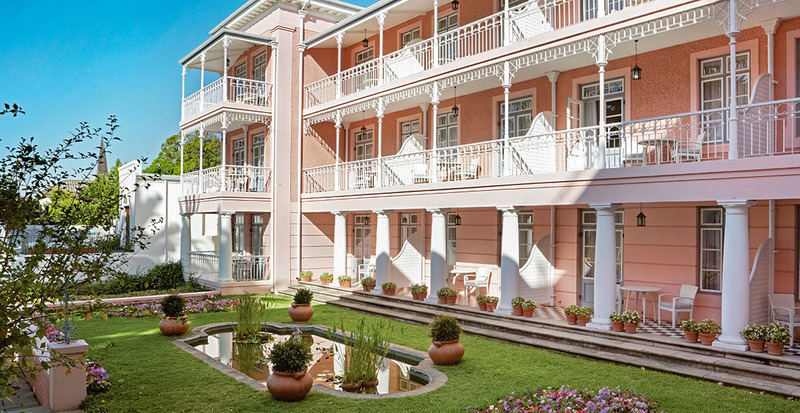 Situated beneath the grand silhouette of Table Mountain is the pastel-pink Belmond Mount Nelson Hotel. Adorned in romantic décor reminiscent of a bygone era, this historic hotel offers timeless luxury embellished with a modern touch. Wander the corridors for a history lesson and hear about how the British used the hotel as headquarters during the Boer War. (Winston Churchill, a war correspondent at the time, noted the hotel as a “most excellent establishment.”) Here, you can take a seat at Nelson Mandela’s favorite table in the hotel restaurant, where a long-serving waitstaff reminisce about Mandela’s times there. When we book your suite for two or more nights, you'll receive $100 dining credit to sit at this very restaurant where Nelson Mandela once enjoyed friendly conversation and delectable cuisine. 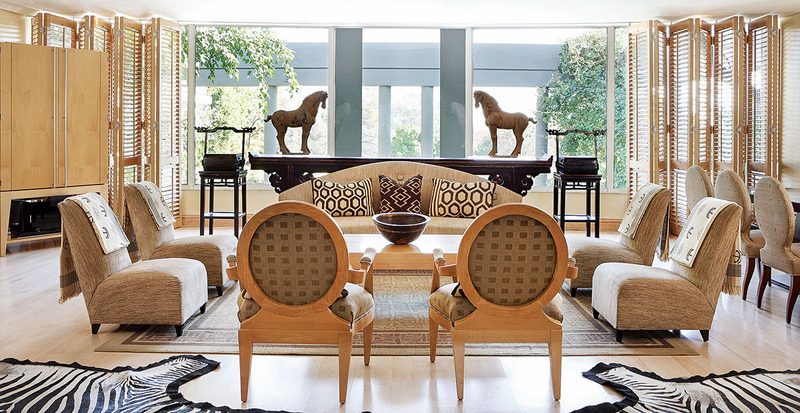 The Saxon Hotel, Villas and Spa is located in the opulent Sandhurst neighborhood on 10 immaculately manicured acres in Johannesburg. A secluded retreat with unmatched dining options, an extravagant spa where you’ll receive a complimentary Rasul chamber treatment for two when you reserve with us, and elegant suites and villas cater to travelers looking for exclusivity. Perhaps the hotel’s most impressive attribute is that Nelson Mandela selected the Saxon Hotel as his sanctuary to complete his autobiography, “Long Walk to Freedom.” Celebrate Nelson Mandela’s legacy and stay in the Nelson Mandela Platinum Suite, a stately two-bedroom suite with 24-hour butler service, champagne on arrival and views of the garden and pool terrace. Call us today to start planning a getaway to South Africa that’s equal parts educational, meaningful and luxurious.